We keep harping on the lionfish invasion of the Caribbean Sea, Atlantic Ocean, and pretty much all waters surrounding Florida because it is a serious, ongoing issue with seemingly no end in sight. Despite the best efforts of scientists to understand the issue, legislators to fix the problem, and recreational fishermen to eradicate the invaders, the problem persists to the point where different and often drastic measures have to be given a good look. The latest attempt to help tackle the invasion is the straight up ban on the import of all lionfish from the Pterois genus into Florida. But is it the right move? As spelled out in one of Ret Talbot’s latest contributions to the Reef2Rainforest blog, Florida Fish and Wildlife Commissioners unanimously approved the prohibition of the “importation of live lionfish from the genus Pterois“, approved divers to use rebreather equipment to harvest lionfish, and will allow the Executive Director to issue permits to spearfisherman to remove lionfish and other non-native species from areas where the activity was previously prohibited. Ret goes on to point out that lionfish from the genus Dendrochirus are not considered in this ban despite there being significant genetic similarities between them and members of the Pterois genus. This new set of rules goes into effect on August 1st, and as usual, there are good arguments from both sides of the aisle. 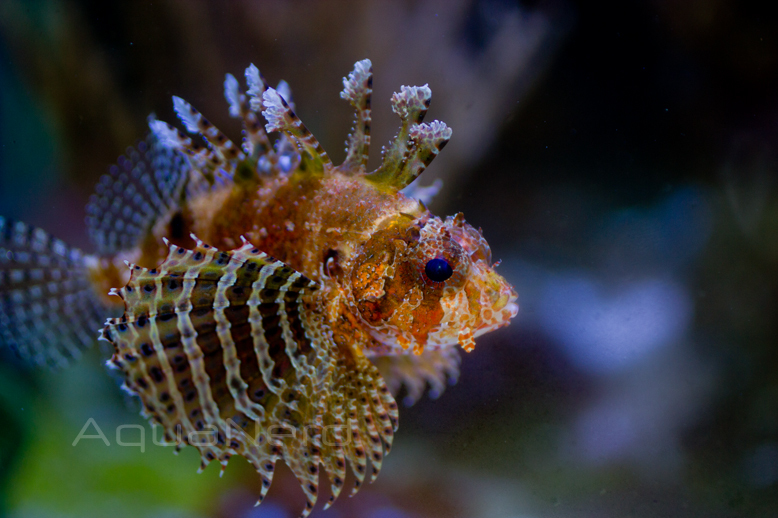 One of the key incentives intended by this ban is that marine aquarium importers who still rely on lionfish as part of their product offering will start collecting fish out of Florida waters to fill their demand. This approach, coupled with aggressive erradication efforts from other industries, is hoped to be able to keep the lionfish under better control, though nobody knows what real impact will be had. But does this ban create a slippery slope for the aquarium trade as Ret points out? While we certainly follow his logic on this one, being that the ban could impact other species besides the target lionfish, we cautiously support the drastic nature of this ruling just so that the lionfish can be controlled. This invasion is serious, and it requires a serious response. Is it overreaching? Probably. But something has to be done, right? Especially since lionfish cullings don’t seem to be doing much in terms of slowing them down. Should the ban be permanent? We won’t touch on this one simply for the fact that there is too many ways to agree or disagree with that approach. There is a good argument that the other 8 banned species are guilty only by association and that the ban itself is hypocritical because it totally ignores Dendrochirus lionfish. Probably a more even approach would have been to ban all genera and species of lionfish, or just ban the two that have been documented invaders. But, the rules are in place now and we have to play by them, no matter how much or how little they annoy. All that aside, do you think the ban will help? I’m always on the fence on banning. In this case, it’s clearly a problem, but realistically the cat is out of the bag. There’s no chance it’s going back in so why bother with reactionary policies at this point. On the side of banning, there’s a number of fish both in fresh and saltwater that should be all but excluded from the aquarium trade. Red tail and similar catfish, pirarucu, almost all groupers, most sharks but especially pelagic sharks and rays, etc. 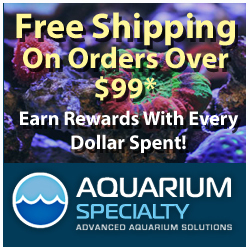 With the exception of the 1/1000 aquariest that has a swimming pool size tank, almost nobody has any business keeping these fish, and yet many are readily available with most retailers. I’ve seen red tails come out of local lakes several times and people are frequently catching miniatus and panther groupers in Florida and the keys. Nobody in our hobby wants regulation, but with the ever increasing attention on fish keeping practices and invasive species, if we don’t at least self regulate, someone’s going to do it for us.